You’ll forget about the rest of the world at Jamieson. Nestled deep in the mountains beside the Jamieson and Goulburn rivers, this beautiful, laid back leafy town is rich with history and a perfect place to relax and unwind. Wander through Jamieson's historic streets and you’ll find traces of the bustling hub that the town once was, lending it an authentic, old-world charm that is hard to come by. For history enthusiasts there's plenty to see. During the goldrush days of the 1860s Jamieson became a supply base for the mines around Gaffneys Creek and Woods Point. Many traces of this bygone era still remain and a stroll through Jamieson will uncover many sign-posted, historical sites. For a more in-depth look at the area’s history, visit the heritage-listed Jamieson Courthouse and Museum or take a self-guided walk and explore the towns historic buildings. Enjoy a summer picnic on the riverbank under a shady tree, spend a quiet afternoon fishing or just relax and take in the surrounds. The Goulburn and Jamieson Rivers offer some of the finest fly fishing in Australia, complete with gorgeous scenery and unspoilt banks. 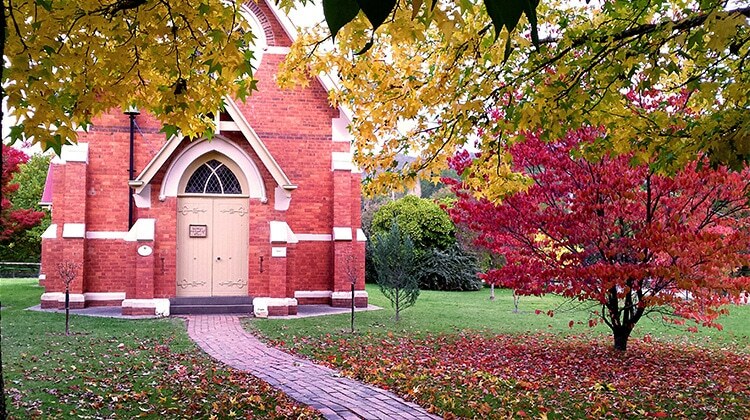 Come autumn, the town is ablaze with colour as the tree lined streets turn gold, copper and bronze. Warm up with a coffee in front of the fire at the Jamieson General Store or grab a tasty treat from Deb’s Jamieson Café. For the car enthusiast, make sure you catch the large collection of vintage cars, machinery and displays at the Bimbi Car & Memorabilia Museum. You are spoilt for choice when it comes to accommodation options in Jamieson and surrounds. Caravan parks, holiday homes, bush camping, luxury retreats, motel style accommodation or bed and breakfast, which ever suits your needs.